The NFL has announced that the jersey that was stolen from Tom Brady’s locker after the Super Bowl was found in Mexico. It’s incredible that the jersey was found considering the case went cold in recent weeks. What’s even more incredible is that not only was this jersey found but authorities have also located Brady’s jersey from Super Bowl XLIX two years ago, which was apparently stolen by the same person. We do not know much about the thief except that he or she was a credentialed member of the international media. Brady’s Super Bowl LI jersey has immense historical significance. It was worn as he conducted the biggest comeback in Super Bowl history winning a record fifth Super Bowl ring. The Houston Police assigned a value of $500,000 to the jersey, the same number sports auctioneer Ken Goldin, who has sold game-used Brady jerseys before, said he believed it was worth if it were to hit the open market. 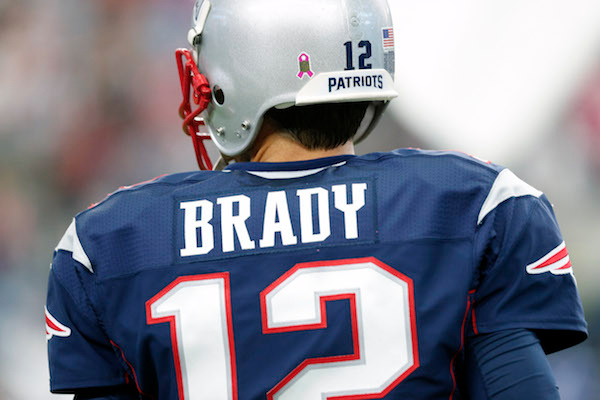 Game-used Brady jerseys from regular season games have been sold in the $50,000 range.